When you are moving to a new home, it is not uncommon to need short-term or long-term storage, and taking a little time to prep ahead of time will ensure the process of organizing your stuff for storage is as seamless as possible. Perhaps your new home will not be move-in ready until after you have vacated your current home. Maybe you are downsizing and do not have space for all of your furniture and other belongings, but cannot bear the thought of permanently getting rid of them. Or maybe you have some other reason for needing storage. 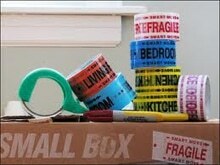 Whatever the reasons, it is a good idea to have a plan of attack for organizing your stuff for storage. Self-storage. Probably the most well-known type of storage, self-storage involves a customer renting out a storage unit and paying a monthly fee. Self-storage units, which can be indoors or outdoors, often resemble small garages. As the “self” part implies, self-storage means you bring your belongings to the unit and arrange them inside the unit on your own. Moving pods. Available from a variety of moving companies, moving pods are transportable storage containers that sit outside of your home until you have loaded them – at your convenience. Once loaded, the pod is moved to a temporary or permanent storage location. Moving pods are a great option for those who despise loading and unloading multiple times. Moving company storage. Even though this storage option is probably not as well known to the average person, it can often be the most secure, what with 24-hour security and specialized crates to keep your belongings safe. Many moving companies will pick up your items and store them for up to 90 days before transferring them to a more permanent storage solution. Do you want an air conditioned and heated unit or not? Do you want an indoor or outdoor unit? To answer the last question above, you may find the storage facility manager helpful in this regard. There are also online programs that will help you select the appropriate space depending on how much stuff you have to store. Sort your items before storing them. It makes no sense to pay to store items you no longer need. So before you pack something, ask yourself if you really want to keep it. Hold a moving sale for those items to which you say no. For items you decide to keep, you can group them one of two ways (or a combination of both). The first way is to group by room. The second is to group based on what items you will need to access most frequently. 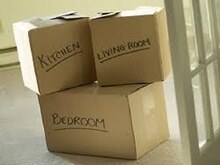 Either way, be sure to label each box of belongings thoroughly, with as much detail as possible, so you know exactly what’s inside without having to open the box and rifle through it. Use quality packing supplies. While it is clearly less expensive to borrow boxes from friends and family than to buy them new, you will end up with a hodgepodge of boxes that will not stack well. Purchase good, sturdy boxes from your local moving company and limit yourself to two sizes if possible. Box up as many items as possible. This may seem obvious, but once you begin packing, you will notice that you have a lot of odd-shaped or bulky items that do not fit into boxes naturally. If you can, box something up. If you cannot, ask yourself once again if it is something you really want to pay to store, since storing it will likely take up extra room and create an inefficient use of space. Clothing. Make sure any clothes you pack are clean, dry, and free of mildew. Purchase wardrobe boxes to hang clothes. You may think that vacuum-packed bags will save you space – and they will – but be aware that they may affect certain fabrics and cause mold. Place chemical desiccants in boxes that will absorb moisture and prevent mold from growing. Mirrors, paintings, and pictures. Use bubble wrap or some other protective covering to keep these items safe from harm. Mark them as fragile and use cardboard corners to protect your frames. Furniture. Disassemble furniture like beds and tables as much as possible, but be sure to keep the various components together. Clearly mark the different components so you do not forget what an item is! Treat any leather furniture with leather conditioner, and spray wood furniture with polish before storing. Electrical equipment. If you have original packaging for your TV, computer, or stereo, use it. Appliances. Refrigerators and freezers should be thoroughly defrosted before storage to avoid mildew growth. Also drain washing machines before storing. Keep doors of large appliances slightly ajar in storage. The most important thing to remember is to keep items you want to be able to access toward the front of the unit. If you will need to have access to everything in the unit, then create neat aisles down which you can walk and easily find what you are looking for. Create a map of your unit – possibly before you arrive – and show where certain items can be found. It may be helpful to arrange your unit by “room.” For example, all of the living room furniture and boxes should go in one quadrant of the storage unit, while boxes for the main bedroom should go in another. Another important thing to remember is to maximize your space. Stack boxes as high as they will safely go without becoming unstable. 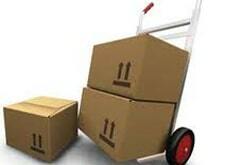 If you cannot stack them very high, make use of shelves, which can hold everything from paperwork to large boxes. Also, store furniture – like couches – vertically to use space efficiently. In addition, create more space by using the hollows of your furniture to store items if possible. 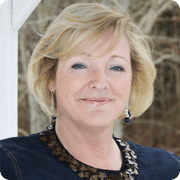 According to David Shapiro, a marketing specialist for moving companies such as North American Van Lines, “Finding the right storage space, packing your stuff for storage, and organizing your storage unit can all take time and effort to get it right. But you will never regret having a well-organized way to locate your belongings once they are in storage”. David is right, organizing your stuff for storage is not an easy task, but getting it right the first time will give you piece of mind, make it easy to find items once you take them out of storage, and also protect your valuables. If you found this post on organizing your stuff for storage helpful, please consider socially sharing it so others can also benefit.